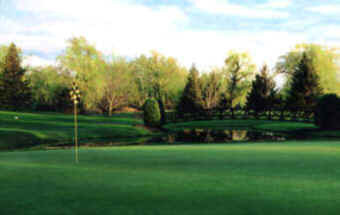 The inn is close to many of Vermont’s finest golf courses. Because of it's natural beauty, rolling hills and ever-changing views, the Lake Champlain Valley is a golf course designers dream, and is home to some of the most scenic golf courses in the country. With the tranquil surroundings and relatively flat land of the banana belt of Vermont, you will not need to fight the terrain or the crowds. It's a short season. They don't call them the Green Mountains for nothing. There is every color of green, greens you've never seen. Because of our steady rainfall throughout the summer, the courses glow green, a fact our California guests find unusual. Kwiniaska Golf Course, Shelburne 15 min. Basin Harbor Club, Panton, 30 min *authors home course.